After a couple leaves their picnic in a hurry, a gang of hungry ants moves in to steal what could be their most coveted treasure: a tin box filled with sugar cubes. But before they can get away with the loot, a newly-born ladybug strays from its own family and gets trapped inside the box! The ladybug is soon spirited away by the ants as they try to transport their prize across the woods toward their colony. Together, the insects embark on an epic journey to protect their sugar. This was such a great movie to sit down and watch with the kids. We've seen movies before where we get the point of view from the bugs and insects and how they live their life, like A Bug's Life, but this movie was both hilarious and captivating as my kids could not keep their eyes off the screen. When we find movies like this to watch, it's great. From beginning to end Minuscule will have you wanting to see what happens next. What I really loved about this movie was how much the movie brought to life how bugs and insects see what happens to them with people and other animals involved and that this was a movie that didn't need much dialogue. My kids loved seeing the story come to life on its own by just watching it and seeing the ladybug help the black ants fight against the red ants. If you're looking for a movie to bring home to watch this Summer, this would be a great movie to watch with the entire family. I'm excited to team up with kaboom! Entertainment once again to give one of our Canadian readers a chance to win a copy of Minuscule: Valley of the Lost Ants on DVD. 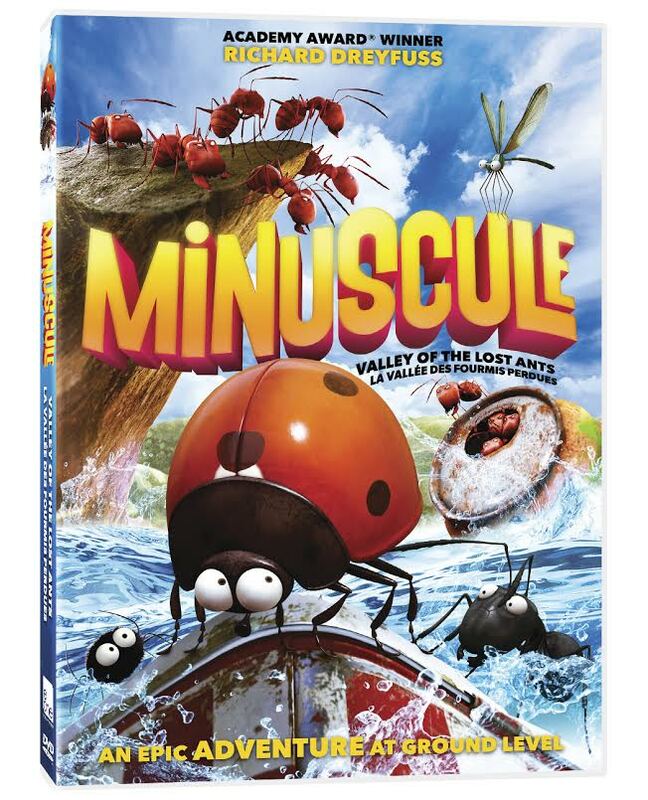 For more information about Minuscule: Valley of the Lost Ants and kaboom! Entertainment be sure to check them out on Facebook and Twitter. Disclosure: All opinions are my own. I received a Minuscule: Valley of the Lost Ants on DVD at no cost for the purpose of this review. No other compensation was received.